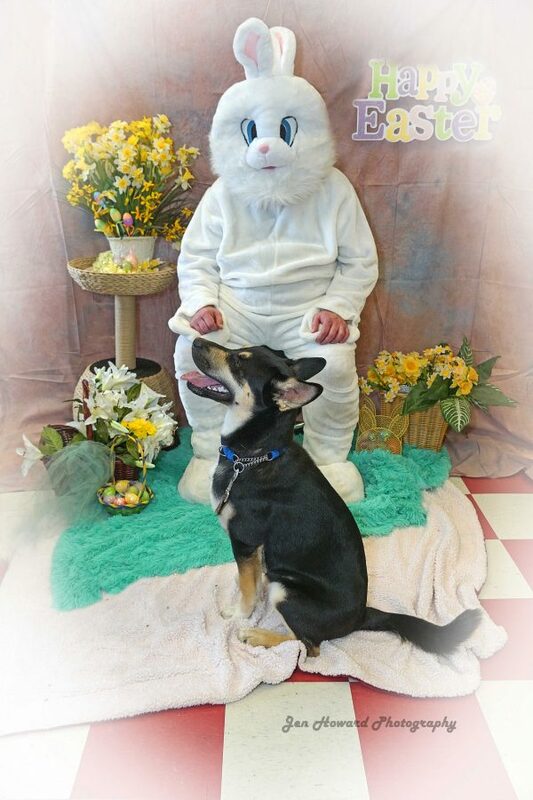 Please find attached our April issue of The Procyon Post. This issue features an informative article by Jennifer Howard, called Babies, Orphaned or Not? Dos and Don'ts Not all babies who find their way to a rescue centre truly are orphaned. Jennifer discusses how everyone can better understand what to do and what not to do, when one first encounters a baby animal. If you find an animal which you think is in distress, please contact us at 905-729-0033 or visit http://www.ontariowildliferescue.ca/wildlifecentres/ to find a wildlife centre closest to you. How can we tell whether to act or not? 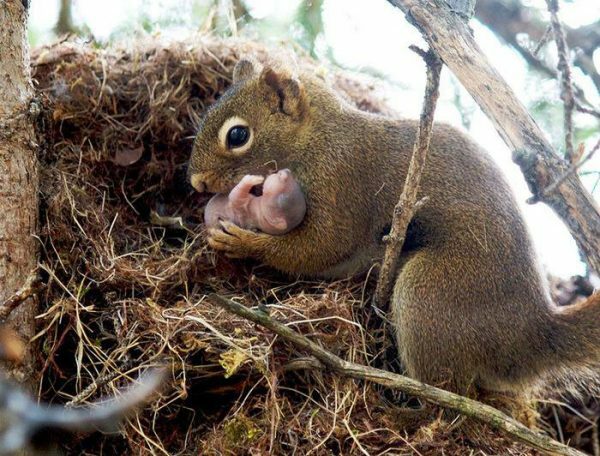 Spring is upon us and with it comes the birth of wildlife babies. Many dedicated volunteers are trained and ready to go. But do these babies really need rescuing? 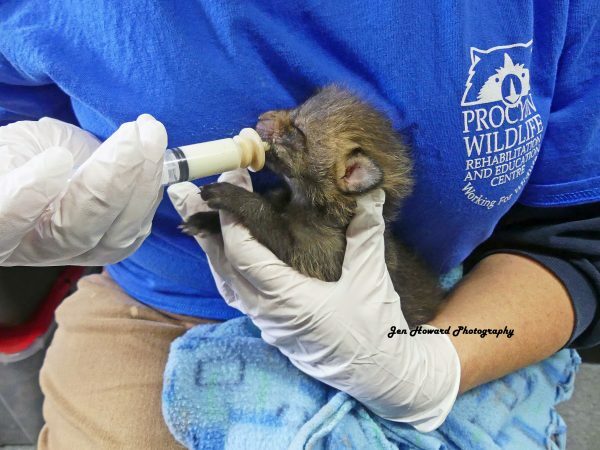 Every year many orphaned babies find their way to wildlife rehabilitation facilities everywhere. But not all were truly orphaned. Kind-hearted people thought they were. I'm going to tell you a few things that may help you to know when they need your help or not. Because their moms are the only moms they should have. Soon, Procyon Wildlife Centre will be flooded with orphaned and injured wildlife. In preparation for this busy season, we are looking for volunteers to care for our wildlife. 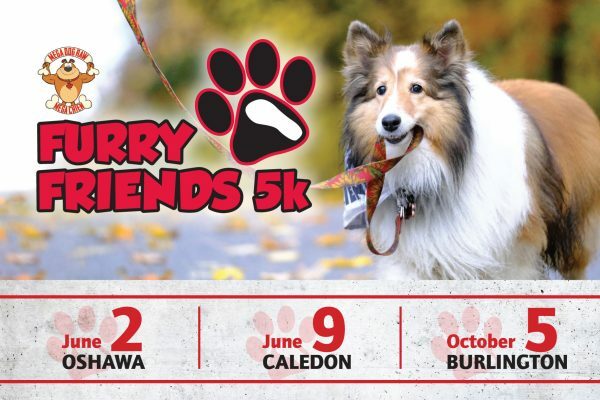 Last year's Furry Friends 5K in Bolton was a wonderful opportunity to enjoy a fun day that helped raise much needed funds for our orphaned and injured wildlife at Procyon Wildlife Rehabilitation and Education Centre. 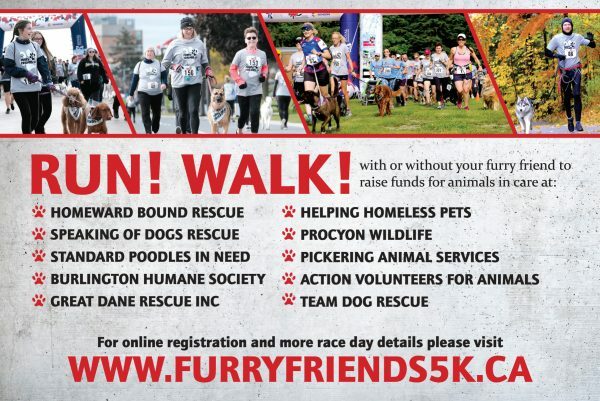 We hope you will be able to participate in one of these events and hopefully we will manage to raise lots of money for all the baby animals we'll be receiving at Procyon this season. If you are a parent or a teacher, or the manager of a company or organization, your school or business can benefit from our Wildlife Education Programs. 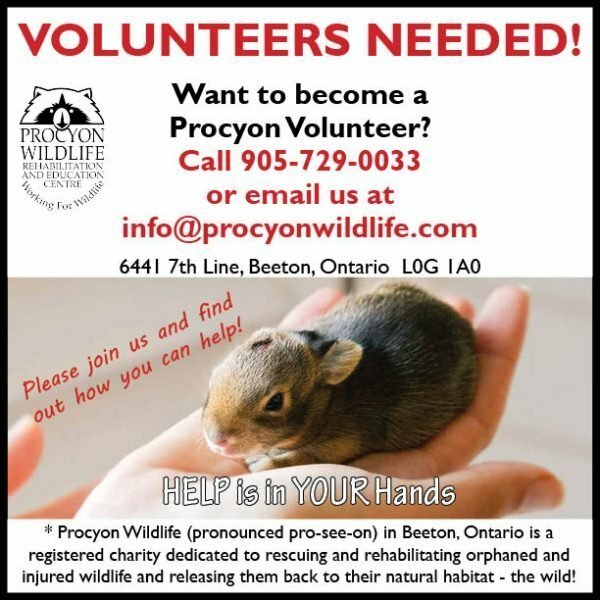 Our Mission: Procyon Wildlife is dedicated to working with our communities in an effort to help wild animals in need of care. Our goals are to rescue, rehabilitate and safely release these animals, and to promote public appreciation for wildlife preservation.